This golden concentrate helps take 10 years off your skin’s appearance and allows it to look years younger! 24K Gold burnishes skin to a warm glow. 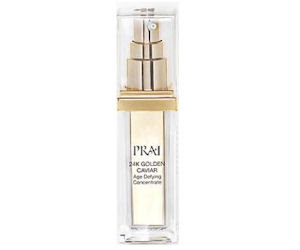 Hello, I wanted to try the sample of the Prai 24K GC but the link is no longer valid.